This post will be a lot of small items. Apologies, hope to have something a bit more substantive going forward. It’s more than a little shameful I haven’t talked to Frank in a good long while. Between finishing graduate school (yay!) and some other home-unfriendly issues, then the post-grad school blues, I haven’t been working on much of anything (genealogical or otherwise). But it is time to resume. The unintended break has re-energized me. Going forward I hope to be more focused and efficient in the work Frank and I are doing. I am trying to set up a plan with some achievable goals. And of course will be recording this process on the blog here. This blog seems to have fulfilled at least a partial purpose. By documenting some of the work Frank is focused on here on the blog, it turns out the grandson of the man in Gmina Tuczępy who saved Frank’s life actually contacted Frank! Frank has been in touch with the grandson, which I know has meant a great deal to him. Frank is now attempting to procure a posthumous Yad Vashem “Righteous Among the Nations” award. I hope that this will go through because although I have heard Frank tell the story numerous times, it never fails to touch me. The recognition that except for the bravery of this one Polish man, Frank would not be alive today, this was a huge act of bravery and kindness. There is also a Polish language book that is going to be published that will have Frank’s story in it. I think it’s being released this week. Frank is on pins and needles waiting to see what is written. Assume he’ll do an English translation of the excerpt. When Frank does that I will post it here. Frank has been working on Yiddish translations for faculty members at the local Deakin University in Melbourne: Associate Professor Andrea Witcomb* and Honorary Fellow Pam Maclean. The documents are minutes from the Melbourne Jewish Holocaust Center that were handwritten in Yiddish. From Professor Witcomb’s bio, it looks like they are working on The History of the Jewish Holocaust Museum and Research Centre (JHMRC). The Melbourne area has a huge concentration of Holocaust survivors, so this is very important work. The challenge, as Frank explains it, is that people alive today who know Yiddish mostly can read and write Yiddish, but only in its typed form. Handwritten Yiddish is something that was much more common in Frank’s generation. I can attest to this as I have come across a lot of family photographs of genealogical importance that have handwritten Yiddish on the back identifying the people in the photos. If you don’t know handwritten Yiddish it’s a real problem. Additionally, Frank’s input on these translations is also very valuable as these are documents written by fellow survivors and Frank can make sure references to Jewish life and life abroad are as correct as possible. Frank has had Łódź Ghetto postcards and ID cards up on his old website for a long time. We have been in touch with the awesome Nolan Altman to submit the data behind these cards to JewishGen but it will require preparing the metadata, which I have obviously dropped the ball on. I was excited to hear that his daughter Keren Dobia, a very gifted photographer, photographed the items properly. I hope that I can help out with adding the metadata and hopefully getting translations of the different languages attached to each item, either by Frank or with the help of the invaluable JewishGen ViewMate program, where volunteers will translate images for you. Frank said that a descendant of Emil ALTSCHUL had contacted him after finding the image on his website recently. More genealogy connections! The name above is my present name. 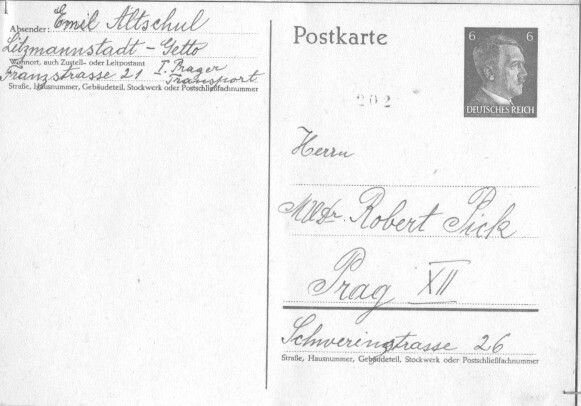 My KLB number in Buchewald was 23730 which belonged to a Russian soldier previously. I unlike Mayer Schondorf was amongst a group selected from block 66 for the march out from Buchenwald. I was in the back of this column and for some reason close to the “appeal platz” dropped into the mud outside the French Block. When the column passed me I was dragged into one of the block in the “Big Camp” and the inmates saved me from the death march. I would not be here now if not for the inmates who saved my life. I found this online in this post. There is also a Wiki page with more photos. Below is the English translation of the Polish email to Alina Skibińska about the article in the Polish newspaper Rzeczpospolita, “Chłopi mordowali Żydów z chciwości” (“The Peasants Murdered Jews Because of Greed”). I would like to thank you for the artcle in in the Rzeczpospolita, “The Peasants Murdered Jews Because of Greed“. Your replies to the directed questions was the reality and were truthfully expressed. I live in the hope that the research work by the historians will finally change the looney newspaper commentaries. I write directly to you because I am unable to take part in the comments about this article, knowing full well the moral character of the writers. How strange is Poland for me now, the country that I was born in, brought up in, reading such nonsense. 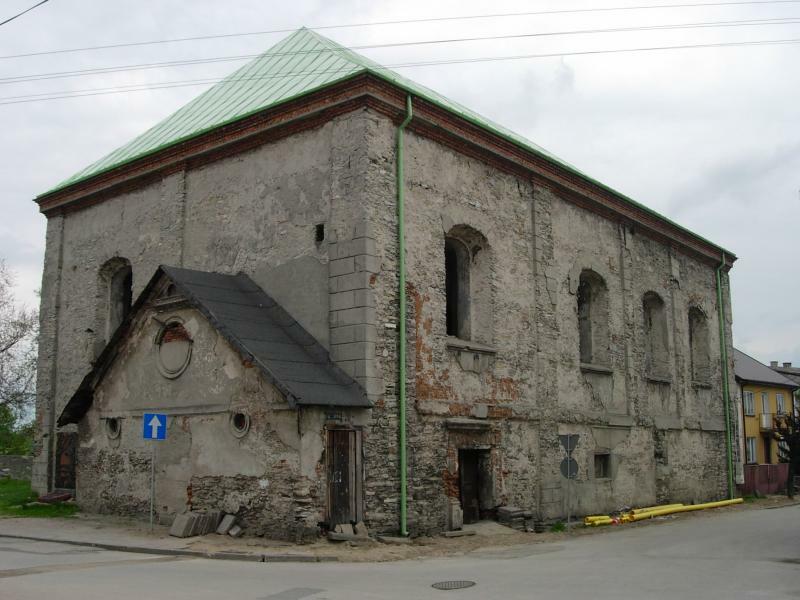 In 1942 I worked for a peasant in Kargów, in the parish of Tuczępy. After working there for some time the “soltys” [village elder] of Kargów gave me an order to leave immediately for Chmielnik because Jews were not allowed to be in the village. I walked through the night to Chmielnik and arrived there early in the morning. This was the day of the liquidation of the Jews in Chmielnik for Treblinka. The ghetto was already surrounded by the Germans and the Blue Polish Police when I tried with another Jew that I met up with on the way to Chmielnik to sneek into the ghetto. We moved back when the police started firing towards us. We did not know about Treblinka and what was going on there. At that time I was 14 years old and wanted so much to be with my family. I went back to Kargów to the peasant where I worked. What happened to the other fellow I don’t know. I slept as usual in the barn and early in the morning the “soltys” was there and hollered for me to come out. I tried to run away but he caught me and gave me a decent hiding. He took me to his house, tied my hands and feet and threw me into a shed and locked the door on the outside. After he had his breakfast he carted me with on his harnessed horse and cart to the parish Tuczępy. There I was arrested and I was supposed to be handed over the next morning to the Gestapo the next day. My fate would’ve been then different. I write about this and tell my children and grandchildren what has happened in the village Tuczępy. In the twilight of the night someone very quietly came with the key and opened the jail door and whispered “uciekaj synku” [“run son”]. I jumped out and I ran to Stopnica. My further experiences are now not important. I survived and that is important and only thanks to this man. Who was this and what was this man? I think that this was the man, the secretary of the parish Tuczępy, for whom I used to keep watch over his horse and cart when he came to Chmielnik on market days. About 15 years ago when I was in Poland I was in Kargów and in the parish of Tuczępy. I was inside the jail that was still operating as a jail. Visiting the community office in Tuczępy I asked the mayor of the community to find out for me who was this man that opened the jail door and whispered “uciekaj synku.” After some time I returned again to Poland and saw the community mayor and asked him whether he has been able to find out for me who was the secretary of the Tuczępy parish. The mayor responded in the following manner. Mister, go home, because just the fact that you’ve come to find out who this man was, you’ve done enough. Asking around in the area about your case everyone says that this was him that helped you. However, to you Madam I have a request. In the article “Chłopi mordowali Żydów z chciwości” you mention the Siudak brothers from Tuczępy and you must’ve done a very accurate research on this subject before you voiced your opinion about the Siudak brothers. Maybe you do know who was the secretary of Tuczępy parish at that time. This person is not with us any longer I believe, but there should be a family and may even still live in Tuczępy. I will be forever grateful in your assistance. Chce Pani podziekowac za artykul w Rzeczpospolitej “Chlopi Mordowali Zydow z Chciwosci.” Pani odpowiedz na zadane pytania byly rzeczywiste i w prawdzie wyrazone. Zyje w nadzei ze usilowanie badan Holokaustu przez historykow, wreszcie moze zmieni sie te bzikowane komentarze. Pisze do Pani bezposrednio bo nie moge brac udzialu w watkach artykulu poznajac brak moralnego charekteru piszacych o historii holokaustu. Dziwny jest teraz ten Polski kraj dla mnie w ktorym sie urodzilem, wychowalem, czytajac takie bzdury. W 1942r pracowalem u chlopa w Kargowie gmina Tuczepy. Po jakims czasie soltys Kargowa dal mi rozkaz natychmiastowego powrotu do Chmielnika. Nadeszlem do Chmielnika z samego rana a to byl dzien likwidacji Zydow Chmielnika wywiezionych do Treblinki. Getto bylo juz oblazone przez Niemcow i przez granatowa policje kiedy probowalem sie wkrasc do getta z jeszcze jednym Zydem ktorego sie napotkalem w drodze do Chmielnika. Wycofalismy sie jak zaczeto do nas strzelac. Nie wiedzielismy wtedy o Treblince i co sie tam dzieje. Mialem w tym czasie 14 lat i tak bardzo chcielismy byc razem z rodzina. Ja wrocilem do Kargowa. Co sie stalo z drugim kumplem nie wiem. Spalem jak zawsze w stodole, a z samego rana soltys juz byl przy stodole i ryczal azebym wyszedl. Probowalem uciekac ale mnie zlapal i porzadnie mnie zbil. Zabral mnie do swego domu, spetal, i wrzocil mnie do komory i drzwi zaryglowal. Po swym sniadaniu zawiozl mnie na swej furmance, spetanego, z jeszcze jednym chlopem do Gminy Tuczepy. W Tuczepach zostalem aresztowany i mialem byc oddanym na Gestapo w nastepnym dniu moj dalszy los bylby juz inny. Pisze o tym i opowiadam swym dzieciom i wnukom co sie stalo w wiosce Tuczepy. W zmierzchu tego samego dnia przyszedl ktos pocichu z kluczem i otworzyl drzwi wiezienne i szepnal “uciekaj synku”. Wyskoczylem i ucieklem do Stopnicy. Dalsze moje przezycia juz sa niewazne. Przezylem, i to jest wazne i tylko dzieki temu czlowiekowi. Kto to byl i kim ten czlowiek byl? Zdaje mi sie ze to byl sekretarz gminy Tuczepy, ktoremu pilnowalem furmanke w Chmielniku jak przyjezdzal na jarmark do Chmielnika raz w tygodniu. Jakies 15 lat temu bedac w Polsce bylem w Kargowie i w gminie Tuczepy. Bylem wewnatrz wiezenia ktore jeszcze bylo uzywane jako wiezienie. Bedac w gminie prosilem Wojta azeby sie dowiedzial kim byl ten czlowiek co dla mnie otworzyl wiezienne drzwi i szepnal “uciekal synku”. Wrocilem po jakims czasie do Polski. Bylem u Wojta z pytaniem czy sie cos dowiedzial o sekretarzu gminy. Wojt odpowiedzial w ten sposob. Jedz Pan do domu, bo juz sam fakt ze Pan przyjechal w tej sprawie to juz Pan dosyc zrobil. Pytajac sie o panskiej sprawie to kazdy jeden mowi ze to On Panu pomogl. Ale mam do Pani prosbe. W swoim artykule “Chlopi Mordowali Zydow z Chciwosci” Pani mowi o braci Siudakow z gminy Tuczepy i Pani napewno wszelkie badania zrobila przed swa wypowiedzia o braci Siudakow. Moze Pani wie kim byl sekretarzem Gminy w tym czasie. Juz ten czlowiek napewno nie zyje. Ale jest rodzina a moze nawet jeszcze w wiosce Tuczepy mieszkaja. Bardzo bym byl Pani wdzieczny za pomoc w tej sprawie. 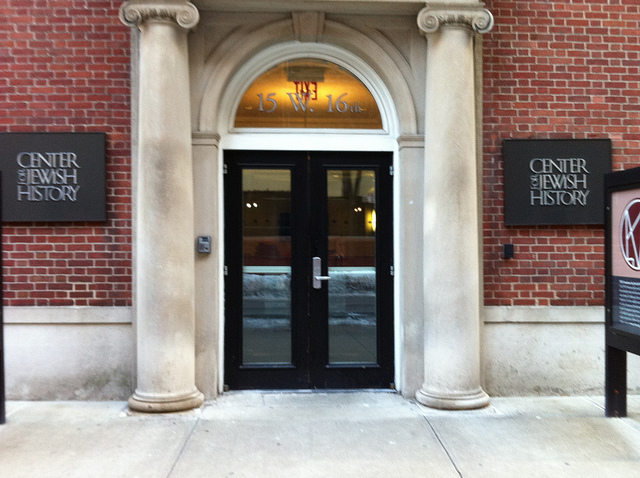 On Friday I was at the Center for Jewish History doing a repository visit at the American Jewish Historical Society for one of my favorite classes this semester (Archives & Manuscripts with Mimi Bowling!). After the visit, I was viewing the exhibit, “Heroes from Abroad: The Machal and/Aliyah Bet Legacy,” and struck up a conversation with a woman who was there. It turns out that this woman, Lea SIGIEL-WOLINETZ, is an incredible connection for two reasons. One, her maiden name (SIGIEL) is, in its original Polish form (SYGAL), my grandma Pearl HERZOG’s (nee SEGALL) same last name! It is even spelled the same way on her grandmother Sarah SEGALL’s Polish passport – SYGAL. Two, Lea’s father, David SIGIEL (ne Chaim Dovid SYGAL), was one of the children in Children’s Block 66 at Buchenwald. This is the same children’s block where Frank was held. Lea told me about a movie that is being made about Kinderblock 66. This is the trailer for Kinderblock 66. Frank got the documents from Alina, the historian from Poland. He is going to work on doing Polish to English translations and will send those along. It’s very exciting because it turns out that the man who testified twice in court is most certainly the person who saved Frank’s life. Frank would like to talk with his progeny to express his thanks at being saved. Hopefully a connection can be made. Frank has an extended Kufeld relation who has recently contacted him. Sharing information with fellow family members is a real blessing but there are issues of confidentiality and privacy inherent in sharing data. I am not a big fan of the online trees at places like ancestry.com, geni.com and myheritage.com. i don’t like the fact that you lose control over your tree (ancestry owns your data when you upload it). And it’s often difficult to pull your data off once it’s on there. I guess I’m a big fan of being online and having a list of surnames associated with your family but not having the full tree up there. At least for Frank this seems to make sense. Stuff to think about anyway…. 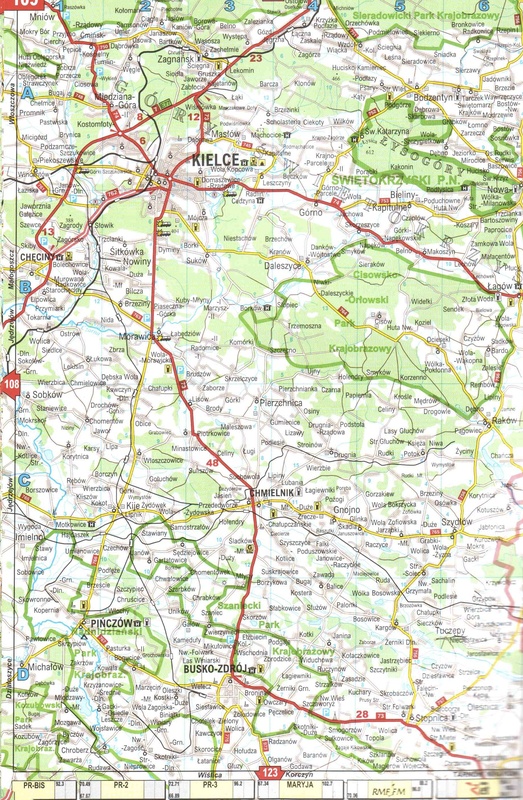 Frank sent me a scan of a road map for the Kielce region. I’m glad that my final project (“Pathfinder”) for my Map class is going to be focused on developing the timeline of Frank’s time during WWII. Hopefully I can really develop it into something cool. Talked with Frank last night for about two hours. Recorded our conversation using my iPhone (love the recording feature — it’s so easy!). Frank sent me a link for an article that he saw in one of the big Polish newspapers, Rzeczpospolita. I did a rough Google Translate of the article which I posted here on the blog. As another working / organizational note, I thought we could try using Google Translate so I could get the general gist of some of the Polish language items Frank is working on and sharing with me, without making Frank take the time to stop and do the Polish to English translations himself. The article is about the reaction of Poles to Jan Tomasz Gross‘ upcoming book, Golden Harvest. Gross’ work has been met with a lot of hostility in Poland, and from the comments to this article and google searches, the response from Poles has been pretty negative. It seems at first commonplace: a photograph of peasants at harvest time, after work well done, resting contentedly with their tools, behind the fruits of their labor. But when one finally notices that what seemed innocent on first view becomes horrific: the crops scattered in front of the group are skulls and bones. Where are we? Who are the people in the photograph, and what are they doing? The starting point of Jan Gross’s A Golden Harvest , this haunting photograph in fact depicts a group of peasants–“diggers” atop a mountain of ashes at Treblinka, where some 800,000 Jews were gassed and cremated. The diggers are hoping to find gold and precious stones that Nazi executioners may have overlooked. The story captured in this grainy black-and-white photograph symbolizes the vast, continent-wide plunder of Jewish wealth. The seizure of Jewish assets during World War II occasionally generates widespread attention when Swiss banks are challenged to produce lists of dormant accounts, or national museums are forced to return stolen paintings. The theft of this wealth was not limited to conquering armies, leading banks, and museums, but to local populations such as those pictured in the photograph. Based upon a simple group shot, this moving book evokes the depth and range, as well as the intimacy, of the final solution. 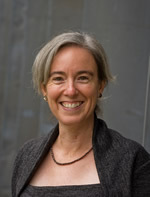 Jan Gross is Professor of Politics and European Studies at New York University. He is the author of Neighbors: The Destruction of the Jewish Community in Jedwabne, Poland , a National Book Award finalist. Irena Grudzinska Gross is Associate Research Scholar in the Department of Slavic Languages and Literatures, at Princeton University. The article is an interview with a historian named Alina Skibińska. Skibińska, a historian who works with the USHMM and specializes in Polish-Jewish relations during World War II, supports Gross’ work. Gross’ writing has been extremely divisive in Poland because of the rampant antisemitism that continues to this day in Poland — as well as the fact that as a whole it appears Poland takes no responsibility for its treatment of Jews during WWII. The more I learn about Poland, and the more vital records and information Frank shares with me, the fact that Poland has not come to terms with its history antisemitism and complicity in atrocities against Jews, especially during WWII, is just ridiculous and dumb. How can a country move into the future if it cannot accept responsibility for its past? It doesn’t make any logical sense, but then hatred and bigotry are at heart nonsensical, aren’t they. So Frank and I talked about Gross, and how I need to read his books to learn more about WWII Poland. I will read them but I have really bad nightmares as it is just talking to Frank and dealing with some of the primary source records that I need to go slowly with material that I know will be upsetting. The very cool thing is that Frank contacted the historian (Alina Skibińska) interviewed in the article and had a very positive email exchange with her. Frank was in Tuczępy during the war and wanted to find out is she knew who the person he talks about in his Warsaw speech was, the person who opened the jail cell so he could escape what would have been certain death in Treblinka. Alina has some pages of information that she will be sending Frank next week, documents that have information about the secretary from the borough who was probably the person who helped Frank. Last time we talked, Frank sent me a link to an article called “Kałuszyn 1939. Polaków 3000, Żydów 6500,” which had a link at the end to the cemetery project run by Krzysztof Bielawski. Need to follow up to see if what Frank wrote is uploaded. Frank was contacted by a distant relative in Israel. Apparently a branch of the tree changed their original Dobraszklanka surname to Dor. I am going to email the person who contacted Frank to research this branch and put the gedcom file into a genealogy program so we can connect the dots. They are from Rypin and/or Lipno, where people in both Frank’s and my family come from. All the interconnectedness in this area of Poland — maybe at some point Frank and I can figure out how we are related!